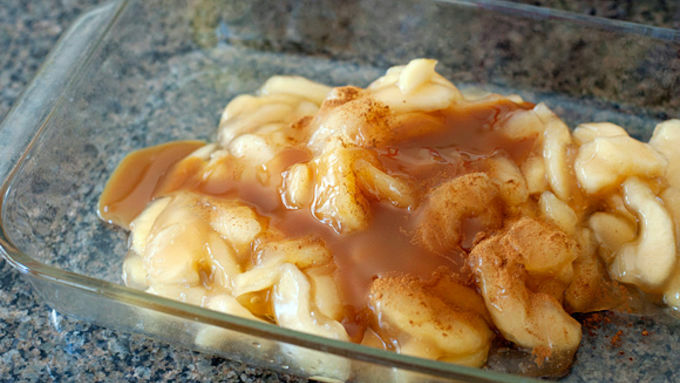 Add apple pie filling, caramel sauce, lemon juice, and cinnamon to the pan. Mix together. Sprinkle with cake mix. 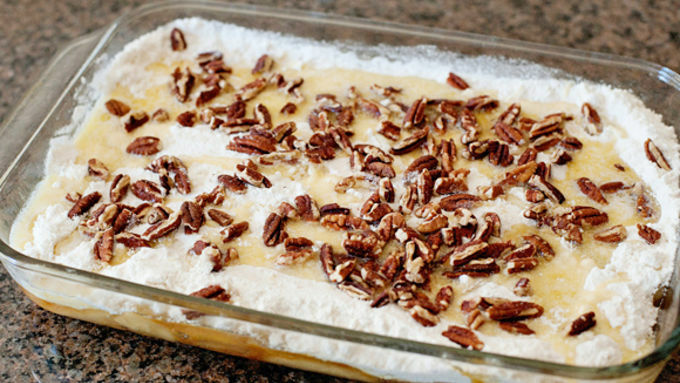 Cover with melted butter and pecans. Bake for 35 to 40 minutes. Cool on a baking rack. 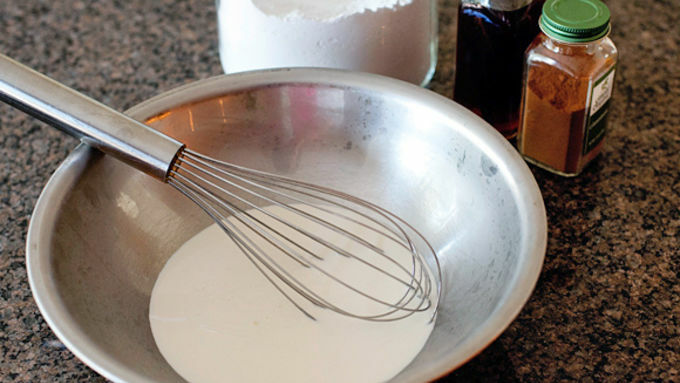 While the cake is cooling, make the spiced whipped cream. Place a large metal bowl and a whisk in the freezer until both are very cold. Add the cream and whisk until soft peaks form. It takes about 6 to 8 minutes. 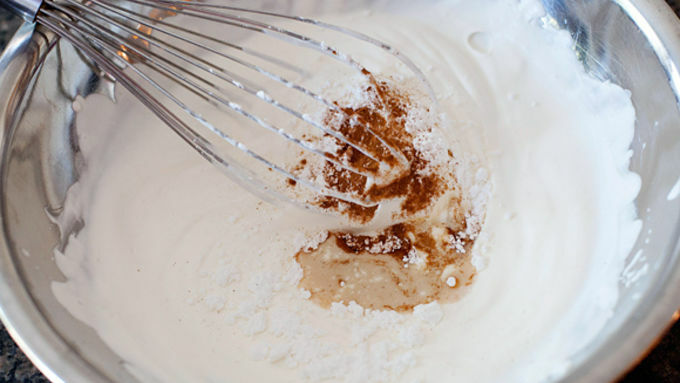 Whisk in powdered sugar, vanilla, and cinnamon. 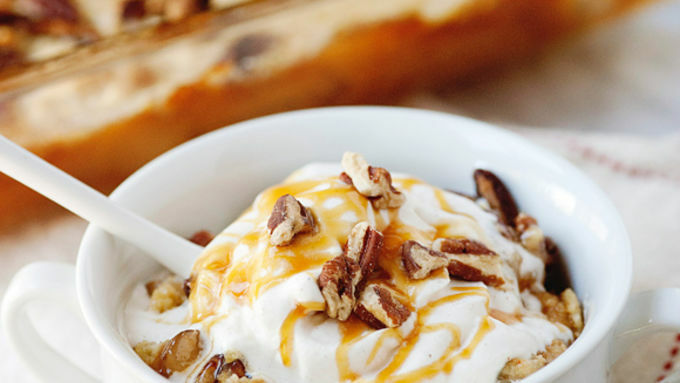 Serve the dump cake with spiced whipped cream, a drizzle of extra caramel sauce and a few pecans. Last fall I discovered the beauty of dump cake. The name is really not the most appealing (let’s be honest) but the end result – so good! 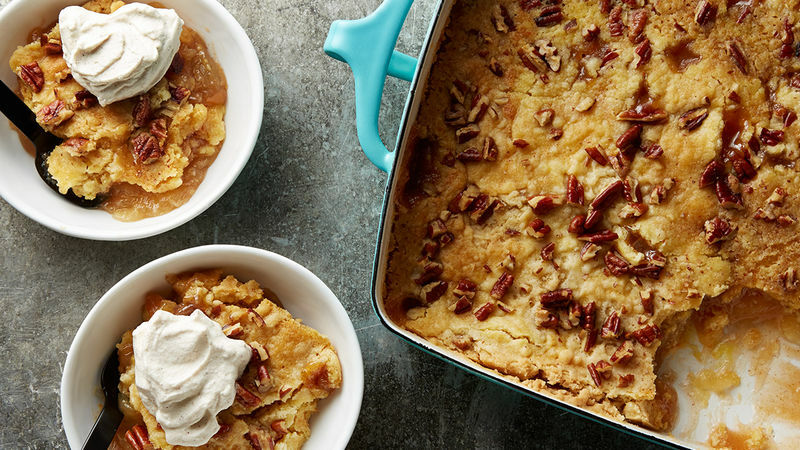 You can make dump cake with any pie filling that you like, but I really like apple. I was shocked to discover that it only takes about 5 minutes to put together. 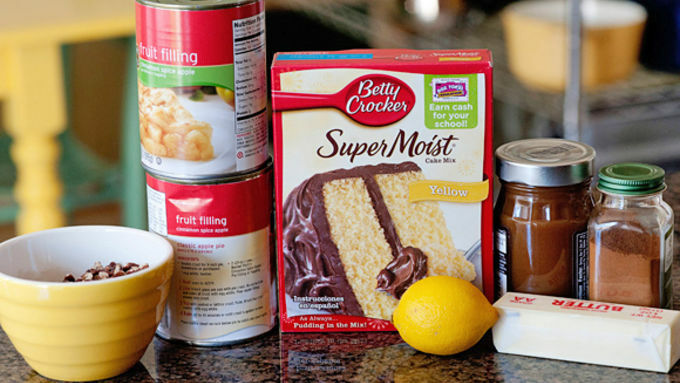 You literally dump the ingredients into a pan, give it a quick mix with a fork, and sprinkle it with cake mix and melted butter. Uh, I can totally do that. And so can you! I take mine to the next level with my own spiced whipped cream. My mom reminded me a few months ago how easy it is to whip cream by hand. She “reminded” me by telling me that my sister always whips her cream by hand and that maybe I should try it that way too. I took that as a challenge. Wouldn’t you? Sometimes, it is easier and less of a mess to just use a cold bowl and a whisk. Yes, it takes some work, but just think of it as exercise. Which you just might need after you eat a whole pan of dump cake! Not that I have ever done that or anything.